Red Heart Boutique is our newest yarn collection targeted to the fashionista knitter and crocheter who loves beautiful textures and colors, but still wants affordable options. Crochet Today! magazine is a Red Heart publication that provides fresh pattern ideas, interesting articles, and opportunities to win yarn! Modern colors update the usual snowflake motif for a new take on an old favorite. 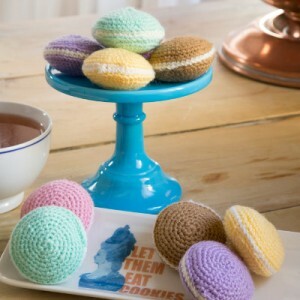 Crochet a set to give as a hostess gift, to brighten up a dinner table or, of course, to use as protection for your furniture during the holidays. Designed by Nancy Anderson. 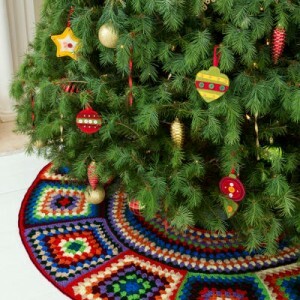 Create a perfect tree skirt that reflects your passion for crochet and the beloved granny square motif! This scrappy skirt is worked up in ten different colors of yarn. Each of the grannies is made with more stitches on the outer edge so it will lie flat once assembled. Designed by Ann Regis. 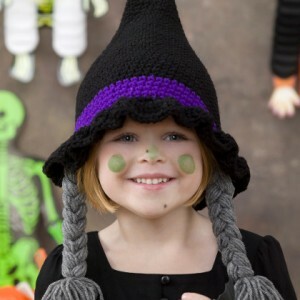 Crochet a perfectly spooky witch hat this Halloween for your favorite trick-or-treater. This easy pattern lets you work up a pointy and positively bewitching hat, complete with grey braids. Designed by Michele Wilcox. This lovely lace top is a beautiful way to display your crochet during the warmer months. Wear it over a tank top or bathing suit for a look that is the essence of femininity. Designed by Dora Ohrenstein. 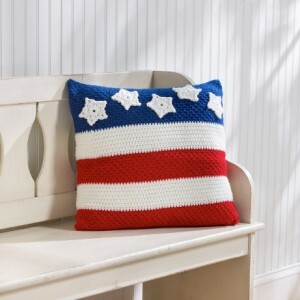 Give a cheer for the red, white and blue with this patriotic pillow. It’s perfect as a décor piece and is sure to spruce up any 4th of July party. Designed by Kristen Stoltzfus. April showers bring May flowers, but sometimes they bloom early! This Darling Baby Hat, adorned with added-on flowers, is perfect for your little girl. Designed by Salena Baca for Red Heart.